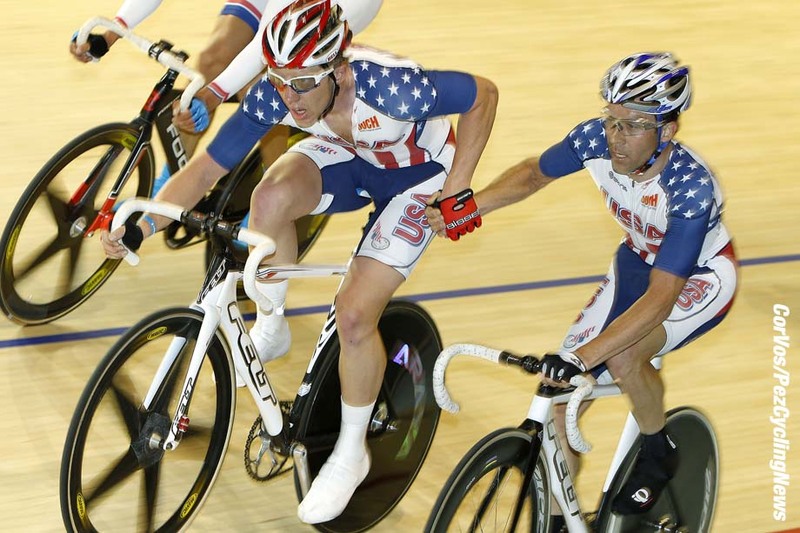 Rider Interview: Top US trackman Colby Pearce has moved on from the madness of the '6 Day' and UCI World Cup track scene to turn his attention to coaching others and helping riders with the best bike fit. 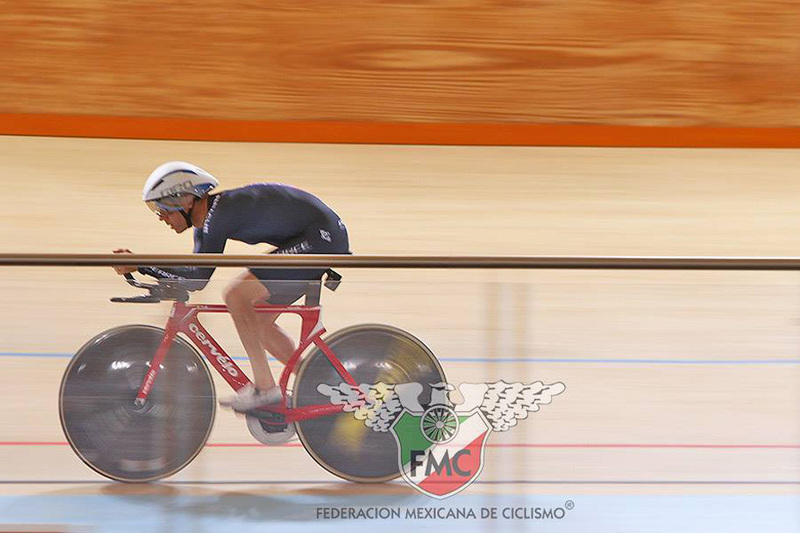 But his 'need for speed' hasn't abated and so the World Hour Record for 45 to 49 year old masters fell to Colby on the Mexican fast track of Aguascalientes. Colby Pearce has appeared on the pages of PEZ before, to tell us about his days on the six day boards and to give us his thoughts on bike fit. When we heard he’d just broken the world hour record for the 45-49 masters age group in Aguascalientes we thought we best have another word. . .
PEZ: How old are you now Colby and what possessed you to go for the record? Colby Pearce: I am 46 years young. That is pretty old in the world of cycling, but in the big picture, not so old. Assuming a piano doesn’t fall from the sky and crush me tomorrow, or that I don’t get eaten by a tiger. It’s all relative. I have had my eye on this record for a while, I thought it was possible as the previous mark was held by Kent Bostick and set way back in 1999 (49.361KM). Kent is a former teammate of mine from Shaklee (I rode for them in 96, 97, 99 and 00). He is a legend and a beast, it is a great honor to have gone farther than he did. It’s also a nice bookend to my cycling accomplishments, which I consider to be very small in the world of this sport. The hour is probably the single thing I am best suited for in all of cycling, so it is a very natural extension of my abilities. It is just something I felt I had to do for myself, and also to hopefully inspire others, including my clients (I am a coach and bike fitter). PEZ: Remind us about your previous hour rides, please. 1) 50.191 km, 31.187 miles, 1995, Age 23, Colorado Springs, USA National Record. He broke John Frey’s mark, and later Norm Alvis broke this mark. He rode a Lotus Sport TT bike, and had just ridden I believe the third fastest 40 km TT in history at Moriarity, New Mexico (just behind Frey and possibly behind Bostick’s marks) time was 47 minutes 47 seconds I believe (Colby: this is the correct time). 2) 49.806 km, 30.948 miles, Age 40-44, Colorado Springs, 2013. 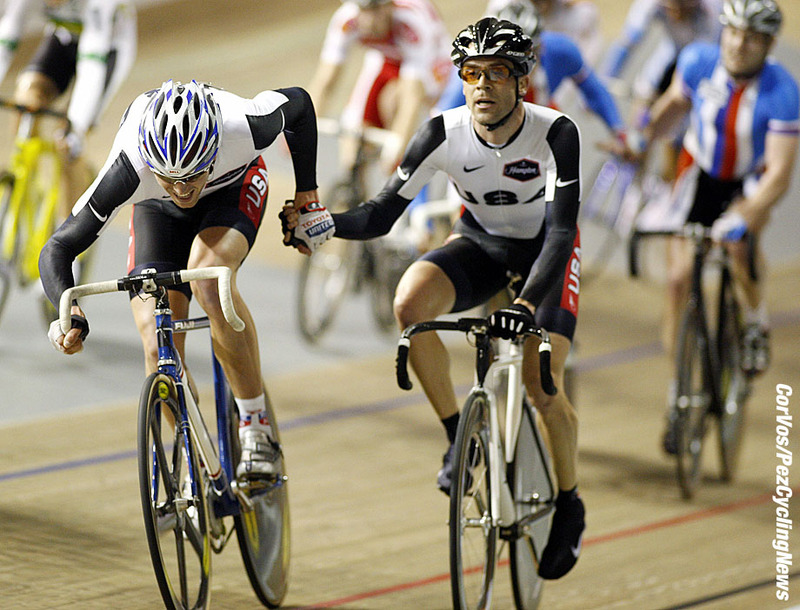 Technically this was a Unified Hour Record, as he rode a Pursuit TT bike conforming to the current rules, but the new rules hadn’t gone into place yet, so Jens Voigt got the first mark (also had a further distance in 2014). 3) 46.452 km, 28.864 miles, 2013, Age 40-44, Colorado Springs. 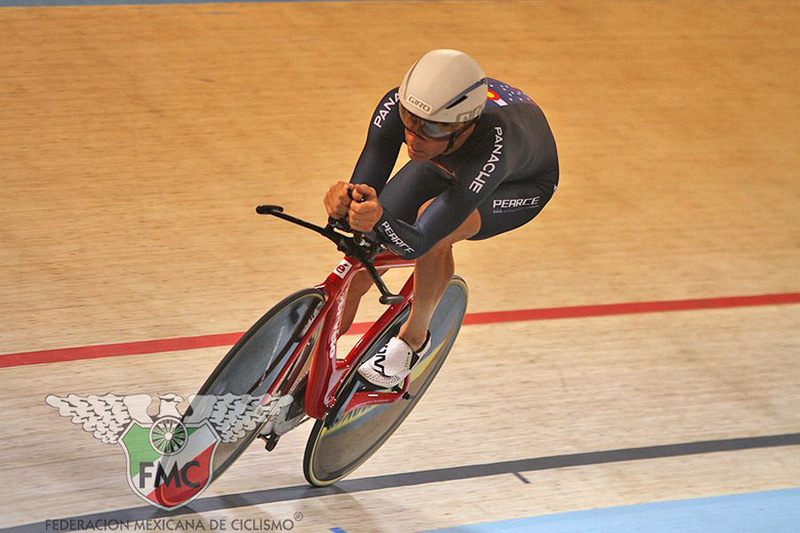 After riding his Pursuit bike, he switched to a UCI style "classic bike" or "Eddy Merckx" style bike and set an unofficial USA record in this category. The UCI rules requiring this type of bike to be ridden for an hour attempt were still in affect then. This ride was October 8, 2013. 4) 50.245 km, 31.221 miles, 2013, Age 45-49, Aguascalientes, Mexico. Riding on the fastest track in the world with a Pursuit style bike conforming to the current UCI rules, he set a World Age 45-49 Best. Better than the previous record set by Kent Bostick’s at low altitude in Manchester, England. It is also Colby’s Lifetime best set approximately 23 years after his first hour mark and at double the age (age 46?). He also jumped over two riders on the all-time list: 50.205 km by Giovanni Santa (Francesco Moser’s training partner who rode an Obree style tuck bike just before Moser’s UCI veteran record riding the same type of bike) and past 50.226 km by Lee Vertongen, NZL who set an outdoor best at sea level in 1997. PEZ: It must have been a costly exercise - are there sponsors you would like to mention? The trip was organized by Rob Van Houweling, the husband of Molly(Schafer) Van Houweling, whom I coach. They have been going to Mexico for a number of years and know all the people to contact and help to get. About a dozen master athletes went down to chase records in various distances from 200M to one hour. We are compiling a list of the records that were set (subject to approval, of course). Each ride costs $100, plus you have to pay for anti-doping if you get a record ($500) plus the plane ticket, housing, food, and some additional expense to rent the track ($1500 each). The good thing is, car rental is super cheap in comparison to the US (about $15/day at the most) and hotels are not that much. But it is a significant investment for all the riders, which is good in a way, once you make the commitment it motivates you to train hard! And yes, I’d like to thank Panache Cyclewear, Mavic, SRM USA, Speedplay pedals, Giro helmets, Ceramic Speed, Enve Composites, Excel Sports, Bont, NormaTec recovery. PEZ: How do you go about hiring the track, commissars, time keepers, doping control - that must all cost too? Yes, there are about 8 officials there whom are included in the track rental costs. Rob is the man when it comes to organizing everything, without his help it would be a monumental task. He does everything from organizing a van to pick up bikes at the airport, to doping control, to officials. He even helps with timing and produces a live feed that people can watch on YouTube during the attempts. PEZ: That track at Aguascalientes, what's special about it? The altitude helps, it is not on Everest but at 6200 feet (1900 meters) the lower atmospheric pressure helps the rider go faster, assuming they are adapted (for endurance events, for sprint it matters much less if you are adapted!). The track is made of proper, old school hard wood, and it has ideal geometry for fast efforts. It is in a pressurized bubble, but the building is not climate controlled, which means on hot days it gets really, really hot (about 90ºF/32ºC) at the peak of the day. This is also great for sprint events and effectively increases the altitude of the track. For hour records, you time them so that you go in the morning or evening, at optimal temperature for the rider, depending on how heat adapted they are. This track is absolute lightning, make no mistake about it, anyone who goes there is guaranteed a PB in their event. For sure this track is one of the fastest in the world. PEZ: Tell us about the bike - Cervélo, but what wheels, tires, chainset - and were you running ceramic bearings and a waxed chain? I borrowed the Cervélo from Rob, a size 51 fits me well and allows me to get low enough (#slamthatstem). Wheels are Mavic Comete (“Rio” edition rear and the older model front) with Vittoria Pista speed tires. Bearings in the wheels and BB are Ceramic Speed, with a Ceramic Speed optimized Dura-Ace 3/32nd chain that uses Ceramic Speed UFO lube treatment. The chainring is a Sugino Zen 3/32, which was part of a custom order that Excel Sports in Boulder helped me put together last year. 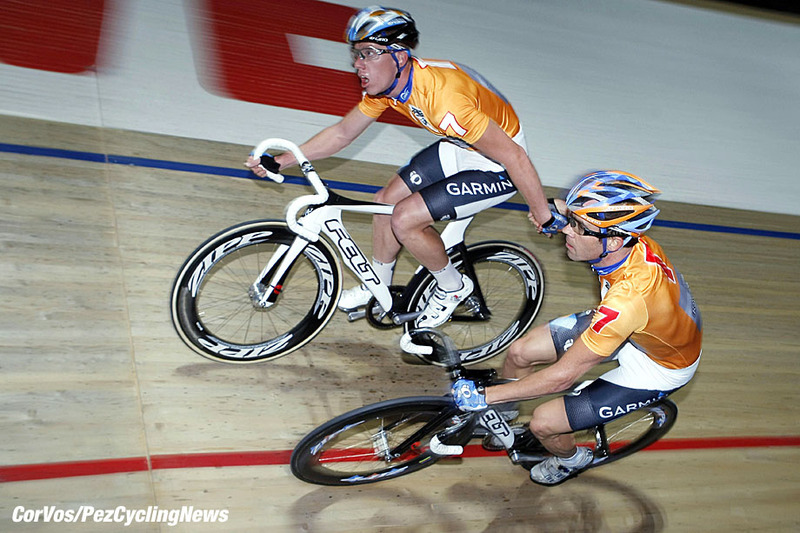 The cog is Sugino Super Zen, gold coated for extra speed. Pedals are Speedplay with Ceramic Speed grease. Bars were Enve with Speed Shop 51 extensions and custom made carbon arm pads. Shoes are Bont Vapor T. Helmet is a Giro Aerohead. PEZ: What was the gearing and your average RPM? Gearing was 58 x 15 and I averaged 103RPM. This one will shock your readers: I averaged 251W. Not a typo. What needs to be explained is that I rode a very wave like pattern during the effort: I was riding 270-290w in the corners, and 220-240w in the straights. This meant my average was lower than my FTP (functional threshold power) but I was maximizing my speed. I was completely shattered at the finish, so riding at my FTP or not, it was what I could do in the ride. Obviously, I am a pretty aero rider. Guys and gals complain about it all the time on group rides: "You have no draft! I hate being on your wheel!" PEZ: Tell us about your speedsuit - and the design on the front. 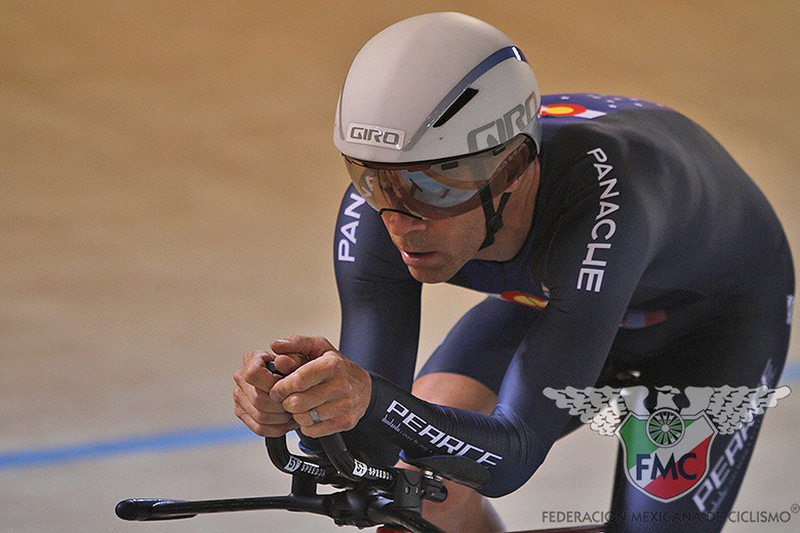 The speed suit was made for me by Panache Cyclewear out of Boulder, CO for Master’s Worlds last year. It has a CO flag integrated into the design. PEZ: No 'long aero socks’? I did some aero testing on the track in the days before the attempt, with various sock options including some different aero socks, and no socks was as fast as the other options. It felt best to me so I went with it. I am kinda picky about my socks. PEZ: Tell us about your preparation for the ride. I have had it in my head all year. The last two years I have been an event ambassador for Haute Route Rockies, and this year I used the event (in late June) to springboard my fitness in preparation for the hour. Over the summer I did a lot of long intervals up our front range canyons, and a lot of aero bar time at Boulder Valley Velodrome. I did several workouts that were focused on 10KM intervals, building up to a 5 x 10KM format on the track. Those make you tough, especially when the CO wind comes out. She loves me and wanted me to be strong, so she hammered me with wind to help me train harder. PEZ: How long were you up there before you went for the record attempt? I arrived three days before, but being from Boulder (which is almost the exact same altitude) adaptation was not a problem for me. PEZ: How did you pace the ride? My pacing was pretty simple, I knew that 18.2 laps were Bostick’s pace, and that 18.0’s are exactly 50KM/hr. So I just aimed to keep it under 18.0 for the entire ride. I figured this was possible based on a 10KM test I did prior to the ride, which went very well. At 40 minutes in, things get pretty dark. Even though you have support and people cheering and your family sending you good energy from home, it is a very lonely place. It’s an act of sheer will. You just have to make yourself do it. My hamstrings and back were in pretty severe pain for the last 20 minutes. I couldn’t sit for about three hours afterwards, I just paced in anti-doping. PEZ: Was it as hard as you remembered from last time? This one was harder, for whatever reason, than the 95 record. But the worst was the Merckx style; that was absolute torture. The added load of supporting your own body weight (as opposed to resting on aero bars) makes a huge difference in the challenge, the extra G’s in the corners make it way harder. PEZ: How was your recovery? I was really shattered that night and the next day I was very sore. I was really glad not to be attempting any other records while I was there, I don’t think it would have gone well. 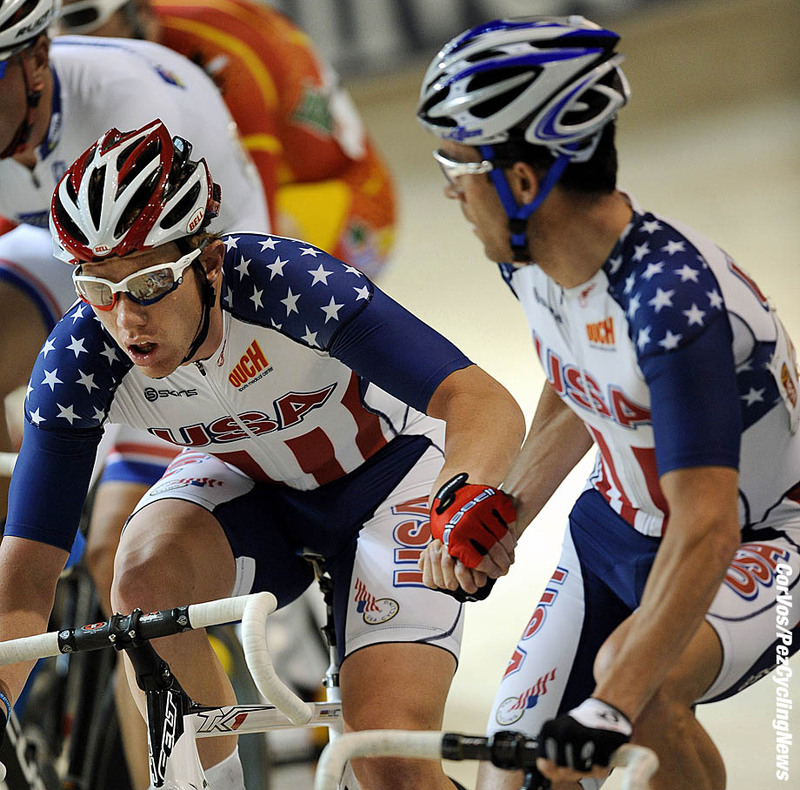 The Master’s Worlds in LA, I will race the 3KM pursuit, 4KM team pursuit with Pat Warner, Ben Sharp, Andy Lull and Kevin Nichol. Also the scratch and points races. Then, I plan to enjoy some off season.